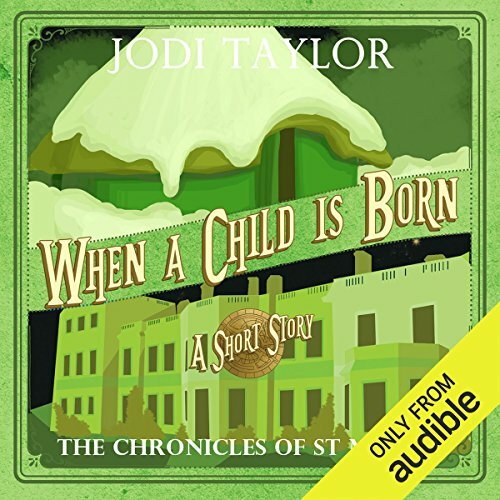 The time-travel series that everyone's talking about.... Jodi Taylor's The Chronicles of St. Mary's is back with a short story. It's Christmas Day 1066, and a team from St Mary's is going to witness the coronation of William the Conqueror. Or so they think.... However, history seems to have different plans for them, and when Max finds herself delivering a child in a peasant's hut, she can't help wondering what history is up to. Jodi Taylor is and always has been a history nut. Her disinclination to get out of bed for anything after 1485 can only be overcome by massive amounts of chocolate and sometimes, if it's raining, not even then.She wanted to write a book about time travel that was a little different and, not having a clue how difficult this would make her book to classify, went ahead and slung in elements of history, adventure, comedy, romance, tragedy, and anything else she could think of. Her advice to booksellers is to buy huge numbers of her books and just put one on every shelf. A beautiful and fascinating little talk, linking passed actions, or should I say accidents, from the user crew led by Max, to our resent day lifestyle. We take so much for granted, without taking into account how the actions of an I'll known historical figure has changed the foundations of the lives we are privileged to lead. A good lesson in precursors and results. Very nicely told with a cunning twist, and as amusing as always. Very cute feminist version of the Christmas story. Max succeeds in spite of herself. Again. What s fun little short this was!! I do so enjoy this series! Great read! A nice heart-warming Christmas detour. History is always in charge, no matter what Historians think they are or aren't doing. Where does When a Child Is Born rank among all the audiobooks you’ve listened to so far? Fairly good, for how short it is. Would you be willing to try another book from Jodi Taylor? Why or why not? Well paced, and character voices continue to improve. The tales of St Mary's are told with humour and compassion. This story gives all those aspects plus a really good yarn. Read by Zara Ramm with her lovely dry inflections leave me laughing out loud. As close to feelgood as a St. Mary's story has come. Very likeable. Flawless narration by Zara Ramm as always. It's a treat. And a different Christmas than you can imagine. Lovely story. I haven't had a St. Mary's book I haven't enjoyed thoroughly. What other book might you compare When a Child Is Born to and why? No, it was just interesting how each event effects the next.